California-based company Royole Corporation has launched a surprise in the smartphone race with its latest FlexPai gadget, a tablet-sized phone that can bend into the size of a small book. 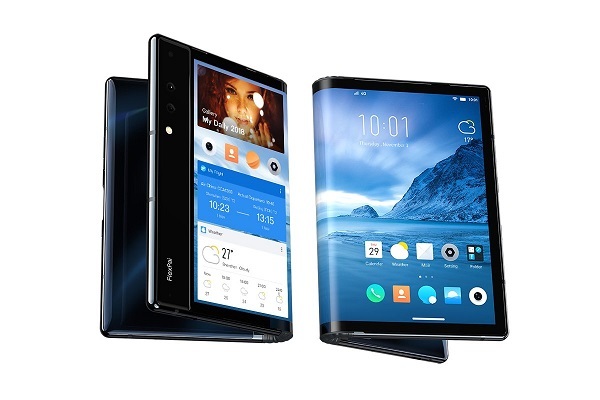 The manufacturer of flexible displays unveiled the “world’s first foldable phone” at an event in Beijing. The device measures 7.8 inches (19.8cm) when displayed flat. Once it is folded, the phone shows three separate screens on its front, rear, and spine. The company revealed that it would hold three “flash sales” for customers in China, who can start ordering the gadget on 1 November before delivery initiates in late December 2018. The phones will cost between CN¥8,999 and CN¥12,999 (US$1,290 and US$1,863), depending on the storage specs and memory. The company will offer a slight variation of the phone to developers in other parts of the world. The launch has surprised the tech industry as many believed that either Samsung or Huawei would become the first to debut such a novel device. Before you get your hopes up, however, the video shown below reveals that such a radical design is still very much in its infant stages and is far from perfect. For one, the phone does not fold completely flat, causing it to become bulky. The software also appears affected when the user bends the screen. Its display flashes several times before deciding upon a suitable orientation to follow. Creative Strategies’ Carolina Milanesi said Royole has created a smart screen that allows developers to “start the legwork,” which could result in apps that are compatible for flexible devices. Milanesi added that the company might become an “acquisition target” for one of the top brands dominating mainstream consumer electronics.